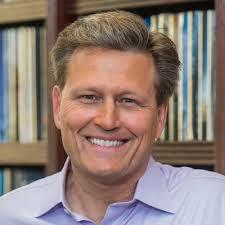 David Baldacci was born and raised in Richmond Virginia. He graduated from Henrico High School and earned a BA from Virginia Commonwealth University and a JD from the University of Virginia school of Law, after which he practiced law for nine years in Washington DC. While practicing law, he turned to novel writing, taking three years to write Absolute Power Published in 1996, it was an international best seller. 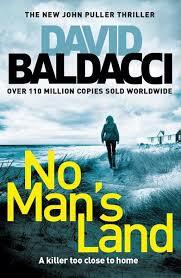 To date, Baldacci has published 36 best-selling novels for adults as well as six novels for younger readers. In Dean Koontz's book, The Crooked Staircase, the little boy Travis is hiding out in a fortified bunker below the ground with a "End of Times" recluse, Cornell Jasperson who had no need for the world above spending his days reading. Cornell has just finished reading the complete works of philosopher Immanual Kant and has on his table a Nero Wolfe mystery, a fictional character created in 1934 by American mystery writer Rex Stout. He mentions his interest in reading all one hundred andd twenty plus books of Henry James, having found "The Turn of the Screw", very screwy. Cornell says he understands about lying low as he mentions the Wolfe stories. Gavin leans forward in his chair and says, "This is real life now, Cornell. Real bad people, a real threat, not a story by Dickens." Cornell replies, "There is no meaningful difference, cousin. I think Plato might agree. Except he's dead. When I return to reading fiction, which I hope to do in just a minute or two, it is my real life. 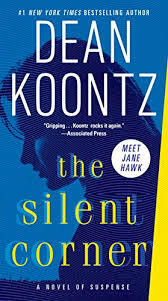 Did Koontz use this dialog to shape an eccentric character or to put action novels on more of a par with the classics? 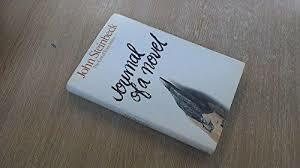 John Ernst Steinbeck Jr. (1902-1968) won the 1962 Nobel Prize in Literature "for his realistic and imaginative writings, combining as they do sympathetic humor and keen social perception. In accepting Steinbeck said: the writer is delegated to declare and to celebrate man's proven capacity for greatness of heart and spirit—for gallantry in defeat, for courage, compassion and love. In the endless war against weakness and despair, these are the bright rally flags of hope and of emulation. I hold that a writer who does not believe in the perfectibility of man has no dedication nor any membership in literature. 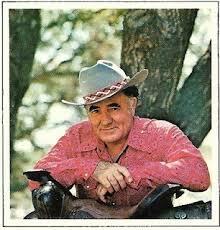 His first financial success was with the writing of Tortilla Flat in 1935. Before that he made his living as a carpenter, ranch hand, factory laborer, sales clerk, caretaker and reporter, and was also given financial assistance by his father in the hope that he would develop his craft. 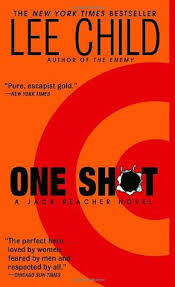 FYI Interesting Fact / Someone, somewhere, buys one of Child’s Jack Reacher crime thrillers every 13 seconds. 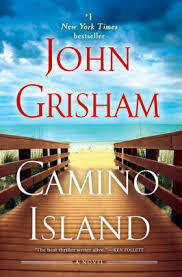 Before I write about this amazing writer I need to confess I am an addict. 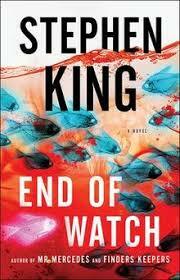 I never finish one of his books without recognizing that the plot was amazing. You don’t see it coming. You don’t want to put the book down. In addition, regarding my confession, I never expected to read this many books from a series of books. 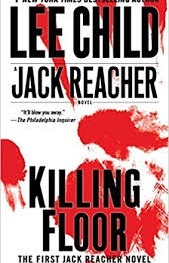 Always a voracious reader, he bought six dollars’ worth of paper and pencils and sat down to write the book, Killing Floor, the first in the Jack Reacher series. Reacher grew up on military bases and served all of his life until leaving in his mid thirties. He now wanders the United States and the world but carries no luggage. When his clothes get dirty he just goes to the local stores and buy more and just puts his old ones in the trash. 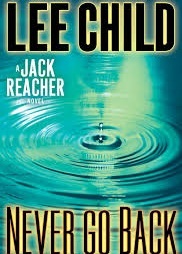 Child has referred to these books as revenge stories – "Somebody does a very bad thing, and Reacher takes revenge." Child’s writing style is, like Reacher, that of a rogue. He says that rather than follow the advice to “show not tell” he is perfectly willing to have his character look in the mirror and tell us what he sees. Rather than not talk about the weather he says if that is what is on the mind of his character then he starts with it. 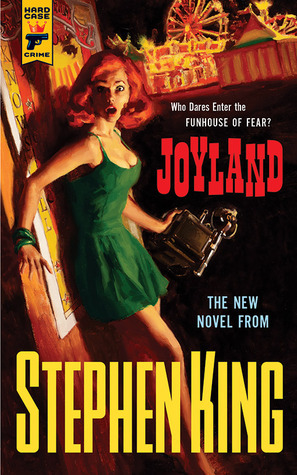 Stephen King is one of a few authors that are addictive. I must admit I am addicted. In addition to being a master of plot just reading his books is an education on writing. Stephen King says on page 106 of his book, On Writing, "You can approach the act of writing with nervousness, excitement, hopefulness, or even despair-the sense that you can never completely put on the page what's in your mind and heart." Stephen King said years ago: "When he went home from the hospital he watched the Titanic and he knew his IQ had been damaged." 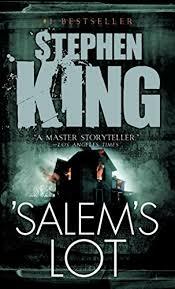 If thinking is the requirement for writing to have "merit" then no one can say that King's Horror Genre doesn't make you think. The problem for some may be what you wind up thinking about! These books below are ones that have been reviewed on this site. Click the book to see the review. Is C.S. 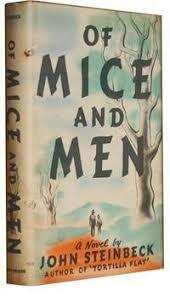 Lewis a Literary Influence? Is having a legacy the same as having a Literary Influence? Lewis does indeed have a legacy. 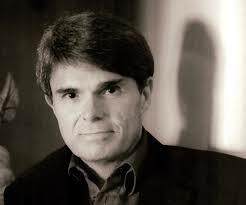 He is best known for his writings both in the area of fantasy, especially his sci-fi trilogy, and religion. In the more than 50 years since his death his works of fantasy still have power. The Lion, The Witch and the Wardrobe, for example, resonates with many and still endures. Lewis’s writings of his conversion to Christianity and thought about Christianity are prolific and have had a strong influence. 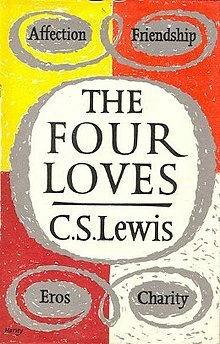 According to Rowan Williams, the former Archbishop of Canterbury , Lewis is not considered to be an academic theologian but "in what you might call pastoral theology: as an interpreter of people's moral and spiritual crises; as somebody who is a brilliant diagnostician of self-deception." Whether the Archbishop is correct in his opinion, much of Lewis’s writing does have broad appeal. “The Screwtape Letters” may be the best example of this, where his perceptive inquiry into temptation is cast as a series of witty letters between a demon and his apprentice. “Mere Christianity” is a book that might confirm the Archbishops view, but then it was based on a series of BBC radio talks Lewis gave during the second world war and it may not be fair to judge his writings on Christianity based on it. Lewis didn’t have a lot of good things to say about poets and some say that this is because he had not succeeded as a poet. Other areas of focus were as a children's writer, novelist, memoirist, essayist, critic, broadcaster and apologist. So yes, C.S. 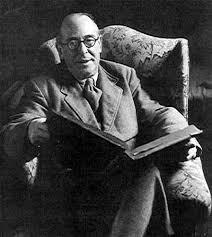 Lewis had an enormous literary influence . He was a Fellow and Tutor in English Literature at Oxford University and Chair of Medieval and Renaissance Literature at Cambridge University. He wrote more than thirty books: just the Narnia books have sold over 100 million copies and been transformed into three major motion pictures, so far. In 1962 The Christian Century magazine published C.S. Lewis’s answer to the question, “What books did most to shape your vocational latitude and your philosophy of life?” Here is is list. Louis L'Amour said; "I think of myself in the oral tradition-as a troubadour, a village tale-teller, the man in the shadows of the campfire. That's the way I'd like to be remembered- as a storyteller. A good storyteller." When L'Amour died he had sold over 200 million books and it is now well over 300 million. To ask what his influence was is redundant, considering these staggering sales. People liked him, obviously. Critics said of his travels after he left home at 15, and his comments about all that he saw, and especially all that he read during that time, as just L'Amour taking a license to talk about whatever he wanted? This is pretty sad. Thebook that really tells us about L'Amour is "The Education of a Wandering Man" (Reviewed in the Review section on this site). This book was for me a turning point in seeing L'Amour's real depth and becoming a fan. Almost all of the other successful Western Writers say they were influenced by L'Amour one way or another had to consider him as they developed their own place in that genre. L'Amour did more for the category of the Western as a distinct form of composition that brings its own special place in the full body of literature than any other author. See the Full Review of "The Education of a Wandering Man." 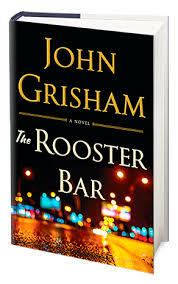 See the Full Review of "The Empty Land"
See Review of L'Amour's Book of Poems "Smoke From This Altar"
John Grisham is an American novelist, attorney, politician and activist, best known for his popular legal thrillers. His books have been translated into 42 languages and published worldwide. Lisa Genova has written five very good books, Still Alice, Left Neglected, Love Anthony, Inside the O’Briens, and Every Note Played. 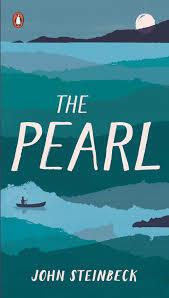 Each of her novels are about people who have heartbreaking diseases and she brings her own background as a Neuroscientists to the stories that bring a compassionate look at these lives. 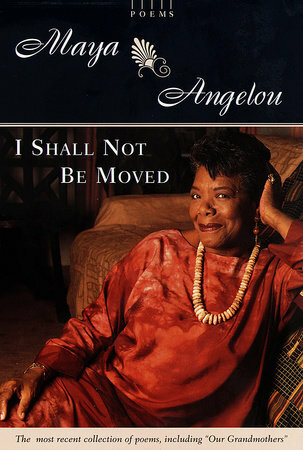 Her approach as an author is unique to her and she is an important literary influence in literature today. The Writers Digest featured an article, written by a guest columnist, in January 2018, titled “Living for All It’s Worth: The Novels of Neuroscientist Lisa Genova.” We can gain insight into Genova’s thoughts from the article with these quotes of hers used here. Her message is as much about love as it is debilitating diseases. The disease sometimes frees its victim to see what was most important in their life, in repairing relationships, and giving love freely. "Marguerite Annie Johnson Angelou (April 4, 1928 to May 28, 2014), known as Maya Angelou, was an American author, actress, screenwriter, dancer, poet and civil rights activist best known for her 1969 memoir, I Know Why the Caged Bird Sings,* which made literary history as the first nonfiction best-seller by an African-American woman." She used her skills to leave people feeling different because of what she wrote. Her writing approach has been sometimes labeled "autobiographical fiction" because it went beyond some traditional bounds. She wrote speaking often in the first person singular using the word "I" when what she meant was "we". This approach is also considered the "slave narrative tradition" and it is a way to buffer a claim intended to be meant for everyone not just the author. Similar to the oral tradition she followed in her poetry her message came in the more expressive language of the street or ghetto. Her autobiographies carried a message beyond just her life. She wanted to correct negative stereotype of black culture. President Obama gave her the Presidential Medal of Freedom in 2011. The good news is you don’t have to be famous to leave people remembering how you made them feel. It happens whether you intended it or not. If you care about someone, they will know. If you don’t really care, they will know. 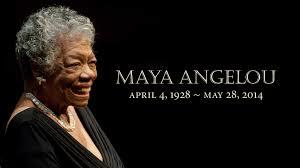 Her quotes & poems were more than feel good platitudes but hard truths that you could feel. “People will forget what you have said, they will forget what you did, but they will never forget how you made them feel”. Few poets have been even close to as essential and influential to the evolution of a language as William Shakespeare was to English. His strongest influence on the language was his diction. Scholars estimate that Shakespeare used at least 20,000 words in his work overall, and that he invented about 1,700 of those words. Literary Favorites in this blog are those authors that have influenced other authors, and literature itself. No one else will likely will be found that will equal Shakespeare's influence. The New York Times commented on Shakespeare, by quoting Harold Bloom who said, "that after 400 years, Shakespeare's genius is alive and well". They add to this, Bloom's thought that, "The Complete Works of William Shakespeare is a secular scripture from which we derive much of our language, our psychology and our mythology." Harold Bloom is a Shakespeare Scholar and Sterling Professor of Humanities at Yale. 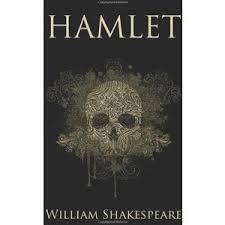 He was a former Harvard Professor and it is difficult to write about Shakespeare without referencing him. Dr. Samual Johnson said: "The essence of poetry is invention; such invention, by producing something unexpected, surprises and delights. Bloom said this thought lead him to naming the book, "Shakespeare: The Invention of the Human" and that book is reviewed on this site in the Review Section. It states that Shakespeare remains so popular and his memorable characters feel so real, because through them Shakespeare invented something that hadn't existed before. Good authors often explain that they find the characters for their stories before they write the story. Some say the character sort of comes to them in their thoughts. 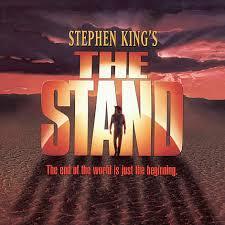 The key then is to listen closely to the characters, once you find them, and they will tell you the plot. No other author seems to have such deep character development as does Shakespeare. The characters seem to have no end of surprises in who they really turn out to be, and then add to this that they change as their life impacts them. Bloom offers insight into why this is. 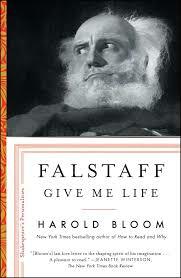 He said of Falstaff and Hamlet that they were "free artists of themselves". He said of Shakespeare that the knowledge that he gives us is not language but diction, the choice of words. Toni Morrison at age 33 (1964) was jobless, divorced, with one child and one on the way. She had returned to her parents home in Ohio. Today she is one of the most respected American writers as well as an editor, teacher, and Professor Emeritus at Princeton University. She is the winner of the Nobel Prize in Literature and the Pulitzer Prize for Fiction. She is known for her plays "Desdemona" and "Dreaming Emmett" and her movies, "A Moment in Time", "Conversations with Legendary Women", and "African American Women of Achievement". 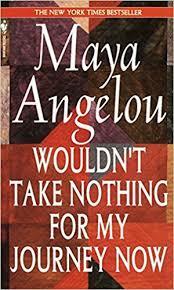 Her writing style is intended not to just tell people about African-American problems and issues but to show them. She does this without losing the traditional language. She has written many books but three stood out for me. "Beloved", "The Bluest Eye", and "Song of Solomon". Beloved was a book that showed us how black Americans repress and deny the experience of slavery. It was inspired by a true story and is considered her most difficult book and one that some critics said they felt they actually experienced slavery. "In hindsight, I think what is important about it is the process by which we construct and deconstruct reality in order to be able to function in it". Thomas S. Monson, President & beloved Prophet of The Church of Jesus Christ of Latter Day Saints, passed away on January 2nd 2018. "In addition to his deep love of scripture, Monson was also a lifelong reader of great literary works, often, over his 55 years of service, using themes and stories from novels, poetry and musicals to express his faith and offer counsel to members of the church". The value of looking at some of his favorites is clear, as is his observation that "we become like those whom we admire". He said of Nathaniel Hawthorne’s classic account, "The Great Stone Face," we adopt the mannerisms, the attitudes, even the conduct of those whom we admire — and they are usually our friends." Some of President Monson's Favorites used in many of his talks. "I do not ask for any crown but that which all may win; Nor try to conquer any world except the one within." King Author quoted from Camelot. "Do not let your passions destroy your dreams"
"It was the best of times, it was the worst of times, it was the age of wisdom, it was the age of foolishness, it was the epoch of belief, it was the epoch of incredulity, it was the season of light, it was the season of darkness, it was the spring of hope, it was the winter of despair, we had everything before us, we had nothing before us." President Monson suggested that this quote also refers to our own day saying: "This is your world. The future is in your hands. The outcome is up to you. The way to exaltation is not a freeway featuring unlimited vision, unrestricted speeds and untested skills." You are the one who has to decide Whether you’ll do it or toss it aside ... Whether you’ll strive for the goal that’s afar Or just be content to stay where you are.